If your panel features a built-in dialer and supports Contact ID reporting format, it can be used with Telguard's TG-1 Express cellular communicator. If the panel meets certain other conditions, it may also support HomeControl Flex. 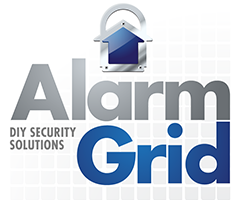 HomeControl Flex is Telguard's remote interactive service. The Telguard TG-1 Express works as a dialer capture module. In order to send signals on behalf of an alarm panel, the incoming telephone wires are removed, and the TG-1 Express is connected to those terminals instead. The TG-1 Express emulates a phone line to the alarm panel. As far as the panel is concerned, it is dialing a central station receiver as it always has and is transmitting a signal. What actually happens is that the TG-1 Express simulates a dial tone to the alarm panel. The panel then dials, and the TG-1 Express then simulates a receiver handshake. The panel hears this and assumes it is connected to an alarm receiver. The panel then dumps its signal(s) and once completed, the TG1-Express simulates a signal acknowledgement. This is known in the industry as a "kissoff". This acknowledgement is what tells the alarm panel that it has successfully sent its signal so that it doesn't attempt to send the same signal again. In the meantime, the TG-1 Express has captured all the information transmitted by the panel. It has relayed the information via cellular communication through a Telguard server to the proper monitoring station. All of this happens within seconds.